Former St. Louis Police Officer Is Acquitted Of Murder In Anthony Lamar Smith Case : The Two-Way "No one promised a rose garden, and this surely is not one," Judge Timothy Wilson wrote in his ruling on the 2011 killing. Prosecutors had accused Jason Stockley of planting a gun. Protesters gather outside the courthouse in downtown St. Louis on Friday, after a judge found a white former St. Louis police officer, Jason Stockley, not guilty of first-degree murder in the death of a black man, Anthony Lamar Smith, who was shot after a high-speed chase in 2011. A judge has acquitted former St. Louis police officer Jason Stockley of first-degree murder in the shooting of Anthony Lamar Smith in late 2011. The verdict over Smith's killing has been highly anticipated — and it prompted protests outside the courthouse. "Stockley, 36, and his partner chased the 24-year-old Smith after a suspected drug deal in the Walnut Park West neighborhood, near the city's border with Jennings. The chase ended when Stockley allegedly ordered his partner to crash the patrol car into Smith's vehicle near the intersection of West Florissant Avenue and Goodfellow Boulevard in north St. Louis. "Stockley, who is white, then shot Smith, who was black, five times through the driver's side window. "Stockley claimed he fired in self-defense. Police found a gun in Smith's car, but only Stockley's DNA was on it, leading to accusations the officer had planted the weapon." Before the car chase began on Dec. 20, 2011, Smith's Buick was parked in a Church's chicken restaurant. That's where he was seen going back and forth between the restaurant and his car; Stockley testified that he saw what he believed to be a drug sale. Stockley and his partner, Brian Bianchi, parked their marked patrol car behind the Buick and got out. That's when Smith "rapidly pulled forward up to the building, then frantically drove his Buick backward crashing into the marked police vehicle twice, before speeding away at a high rate of speed," St. Louis Circuit Judge Timothy Wilson wrote in his ruling. After Smith's car hit the police vehicle, it also hit a red sedan — and then, Wilson relates, "Smith drove off the parking lot, striking the hand of Stockley, who had a gun drawn, and Smith sped away. Bianchi swung at the driver's door of the Buick with his gun, breaking the window." During the trial, Stockley testified that he heard his partner yell "gun" as the suspect's car went past — and that he himself saw a weapon in the car. Bianchi did not testify at the trial, which ended in August. The officers then set off in a pursuit that lasted about three minutes. Citing dashboard camera recordings, Judge Wilson states, "Approximately 45 seconds before the pursuit came to an end, the audio contains a garbled and unintelligible statement, in the middle of which Stockley said, 'We're killing this motherf*****, don't you know.' "
Stockley did not deny making the statement. The judge said that due to unintelligible portions of the recording, it's impossible to know the context that surrounded the remark. He also noted, "People say all kinds of things in the heat of the moment or while in stressful situations." As St. Louis Public Radio notes, "Stockley was the first officer in the St. Louis region to be charged for an on-the-job shooting since 2005. Stockley left the department in 2013." Wilson ruled that the gun found in the car, a revolver, was too large to be planted without being spotted in video footage of the scene. And he said prosecutors' "argument that the presence of Stockley's DNA and the absence of Smith's DNA on the gun proves the gun was not in Smith's possession but must have belonged to and been planted by Stockley is refuted by the State's own witnesses" — who had testified that the absence of DNA on an item doesn't mean a person hasn't touched it. Wilson said that based on his nearly 30 years on the bench, "an urban heroin dealer not in possession of a firearm would be an anomaly." From looking at footage from the scene, the judge wrote that "Stockley did not perceive Smith to be an imminent threat while he was initially interacting with Smith through the driver's window after the pursuit, but only after fifteen seconds had passed during which Smith was ordered to show his hands and open the door, and only when Stockley believed Smith had located the gun." Complicating matters, the judge said, airbags had deployed in Smith's car, blocking views — of witnesses and cameras — of what was going on inside it. The dashboard camera angles were also restricted, he said. "No one promised a rose garden, and this surely is not one," Wilson wrote. Noting that state law "requires the trier of fact to be 'firmly convinced' of the defendant's guilt in order to convict," Wilson added, "This Court, as the trier of fact, is simply not firmly convinced of the defendant's guilt." Wilson said, "Agonizingly, this Court has poured [sic] over the evidence again and again" — including video evidence from police vehicles, a nearby restaurant's surveillance camera, and a witness's cellphone. 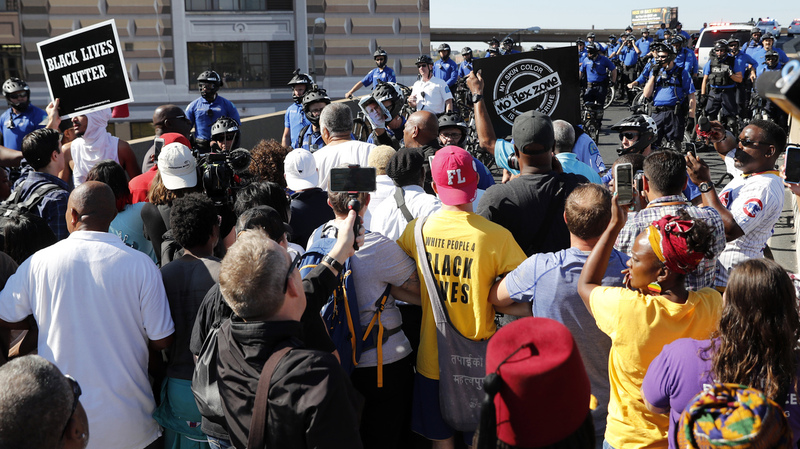 The judge found that the state's prosecution of the case "did not prove beyond a reasonable doubt that Stockley did not act in self-defense."